Levenhuk Atom 8x21 Binoculars are created for those who value light weight and portability. 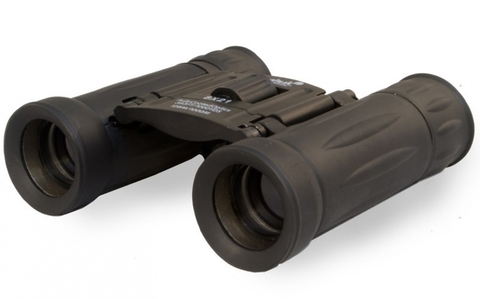 8x magnification allows you to observe even significantly distant objects, while first-class, fully coated optics ensure bright and clear images. Due to their ultra-compact size, the binoculars easily fit in small bags or even a pocket, meaning that you can take them with you wherever you go. Any adventure becomes even more exciting with Levenhuk Atom 8x21! The use of roof prisms allows achieving very compact dimensions and excellent optical performance at the same time. The optics, made of fully coated BK-7 glass, provide for true-to-life images in natural colors. 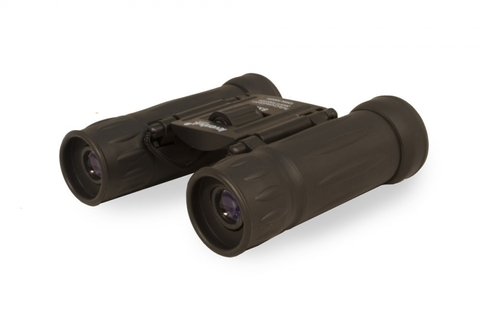 The binoculars feature a wide field of view, allowing you to observe large areas at once. 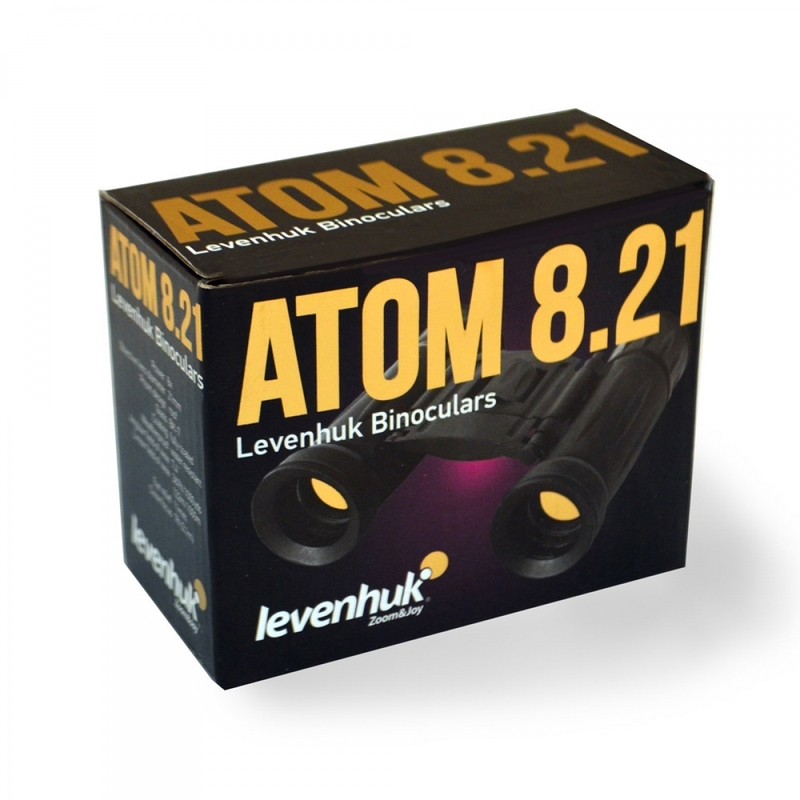 Levenhuk Atom 8x21 Binoculars are designed to provide you with the most comfortable observations. You can adjust interpupillary distance, there’s a diopter adjustment mechanism, and eyepieces are equipped with eyecups made of soft rubber. 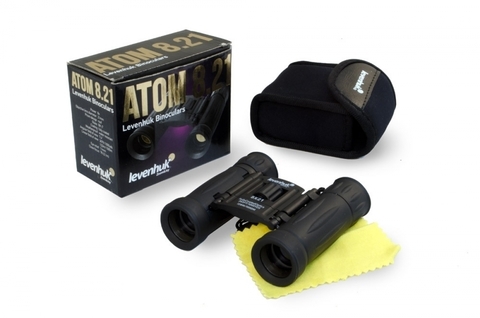 The embossed rubberized shell keeps the binoculars from slipping from your hands.